Find frequently asked questions and answers about LED technology here at Primary Colours. We answer common questions and give you the facts you need to know about LED technology. COB (Chip OnBoard): Is a new manufacturing technique where the LEDs are bonded directly onto a printed circuit board eliminating separate packaging. This results in a more compact, powerful and efficient device. Light Emitting Diode (LED): a low energy, high-intensity lighting unit. Louver: a plastic shade positioned horizontally above each pixel row. Louvers increase the contrast level on the display face and direct LED light for easier viewing. Module: a display board with LEDs, a driver board or logic card, a black plastic housing, and a module latch assembly. Each module is individually removable from either the front or the rear of the display. Pixel: the smallest single point of light on a display that can be turned on and off. For LED displays, a pixel is the smallest block of light emitting devices that can generate all available colours. Power Supply: a device that converts AC line voltage from the termination panel to low DC voltage for one or more module driver boards. One power supply may power multiple modules. SMD LED: an abbreviation for surface mount device light emitting diode that uses surface mounting technology to mount the LED onto a printed circuit board. Video Processor (VP): an interface that drives video to the display while also dimming, providing gamma and colour controls, and displaying test patterns. 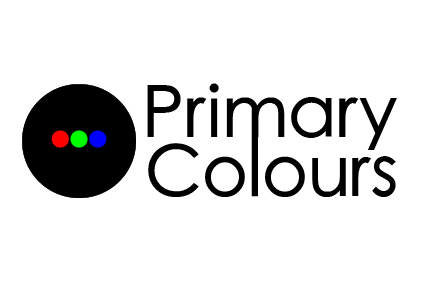 Contact Primary Colours or submit an enquiry online.